It is not unusual for me to receive a snail-mail letter from my friend Dr. Vincent Jubilee, resident in San Juan, Puerto Rico. He is still resisting the Digital Revolution. Vincent is a family friend from Philadelphia. After decades, we had a reunion in Puerto Rico, where he was a professor of English at the University of Puerto Rico. 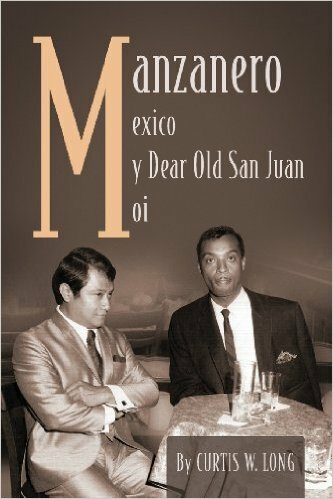 Several years ago, I wrote a memoir, “Manzanero, Mexico, My Dear Old San Juan, Moi,” which is available at Amazon.com. It deals mainly with the experiences I had with major international artists – in Puerto Rico and Mexico – who were connected to the international music world. In the case of the mysterious snail-mail, apparently on a whim, Vince had submitted my memoir to the Puerto Rican Cultural Institute. The letter was a copy of their response to him, thanking him for the submission and assuring him that the book would be put to good use. On second thought, not so much a whim, Vince’s action probably was induced by the fact that, after retiring from the university, he became a journalist with the island’s then-leading, daily, English-language newspaper, The San Juan Star, as well as the Caribbean Business Newspaper. Previously, I had written for the San Juan Diary, a weekly magazine that covered the island’s main entertainment venues. Also, I was editor of Leonardo’s People Magazine, a house-organ for the island’s leading disco. The letter from the Culture Institute is printed below, in the original language. My English translation thereof follows. Acuso recibo del libro titulado, “Manzanero, Mexico, My Dear Old San Juan, Moi,” de la autoría del Sr. Curtis W. Long, donado por usted. 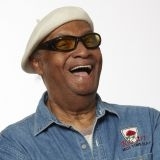 Después de darle una rápida mirada, pude ver que se trata de una serie de felices encuentros y descubrimientos a través de las vivencias musicales del Sr. Long. El libro será fichado y colocado en la briblioteca de la sala de studio y referencia, de modo que esté disponible al público visitante y a los investigadores. Le expreso las gracias de parte del Archivo General de Puerto Rico, por su donación. I hereby acknowledge receipt of the book entitled, “Manzanero, Mexico, My Dear Old San Juan, Moi,” written by Mr. Curtis W. Long, which was donated by you. After giving it a quick review, I was able to determine that it concerns a series of pleasant encounters and discoveries by way of Mr. Long’s musical life experiences. The book will be indexed and located in the study and reference room library, where it will be available to the visiting public and researchers. On behalf of the General Archives of Puerto Rico, I would like to thank you for your donation.